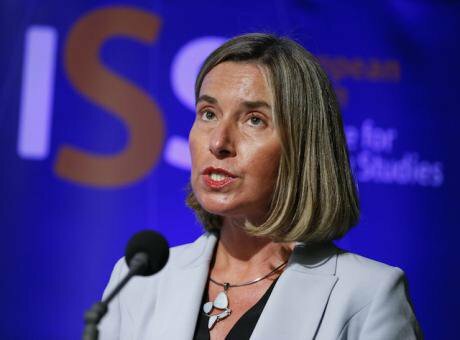 European Union's High Representative for Foreign Affairs and Security Policy Federica Mogherini, May, 2018. Ye Pingfan/ Press Association. All rights reserved. We, the undersigned, thank you for your speech on May 8, 2018, pledging the European Union’s intention to remain steadfast in its commitment to the historic accord concluded between Iran and the E3/EU+3, the so-called Joint Comprehensive Plan of Action (JCPOA). Too often, politicians have inclined to patronise and admonish, but, instead, you opted for a “universal language” of respect and dialogue. You proclaimed that “[t]his deal belongs to each and every one of us”, and that it enjoins us not to “let anyone dismantle this agreement”. But despite such salutary remarks, in the aftermath of the Trump administration’s public announcement to withdraw from the JCPOA and re-impose sanctions on Iran, the survival of the agreement is far from assured. In an increasingly unstable global climate and ever-more precarious “age of extremes”, it is essential that one of the great diplomatic successes of the 21st century not find itself carelessly squandered. By your own estimation it took some 12 years for this agreement to be reached. If Europe in coordination with its Russian and Chinese partners prove unable to salvage the JCPOA, the likelihood of further instability in the region and even war increases exponentially. Zuzanna Olszewska, Associate Professor in the Social Anthropology of the Middle East, University of Oxford.